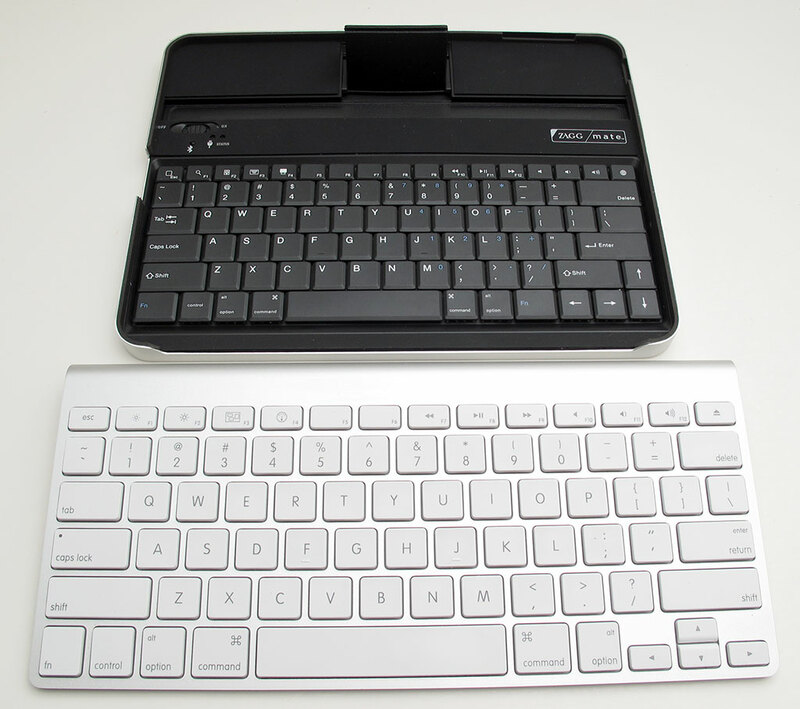 Over the past few weeks, I've had the opportunity to review the ZAGGmate case and keyboard for the Apple iPad. I want to thank the folks at ZAGG for sending me a review unit so that I can test it with my iPad. 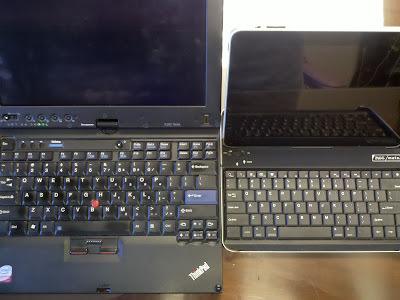 First, you'll see how the keyboard buttons compare to the keys on my ThinkPad laptop. The keys on the ZAGGmate are very responsive and they're easy to press, but keep in mind that they're smaller than the buttons that you'll find on a regular laptop. Compared to the majority of the iPad keyboard cases that are currently out there on the market, this one is definitely one of the best ones that blends functionality with portability. The ZAGGmate holds the iPad at a particular viewing angle. I wish it offered more options for viewing angles, but then the iPad would probably tip over. The viewing angle works fine as long as you have the ZAGGmate on a desk or table. I find that if I place the ZAGGmate on my lap, the viewing angle isn't optimal for me, but it still works. Special function keys for music control, volume control, slideshow, home, search, etc. I really like how the ZAGGmate doubles as a durable case for the iPad. It will mainly protect the iPad screen and the edges. Make sure to get a cover for the back if you want to avoid scratches on the back of your iPad case. Now that the iPad 2 is out, you'll probably want to get the ZAGGmate for the iPad 2. I'm still not sure if I'm going to upgrade to an iPad 2 or wait for the iPad 3. My current iPad works just fine for most of my needs, so I'll probably just hang onto my current one and wait.